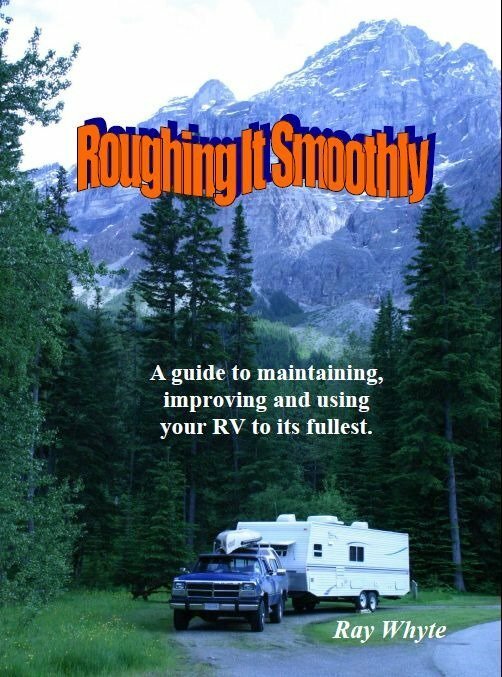 A couple days ago I had the pleasure to get my hands on a new RV eBook called Roughing It Smoothly. 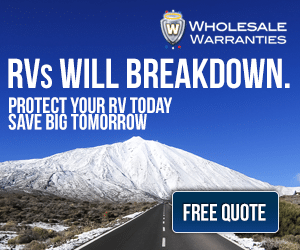 It is written by one of our Love Your RV Forum members named Ray Whyte. 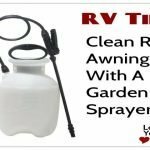 Ray has taken his approximately 50 years of RV/Camping experience and written a terrific resource for the RVing community to draw from. Not only is it very well written, detailed and chock full of images, there is also some nice humor and personal antidotes thrown in to lighten the reading. 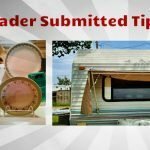 A guide to maintaining, improving and using your recreational vehicle to its fullest. 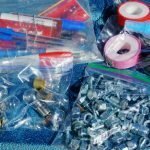 Tips and tricks to help with repairs and save yourself some money. Some fun stuff too. 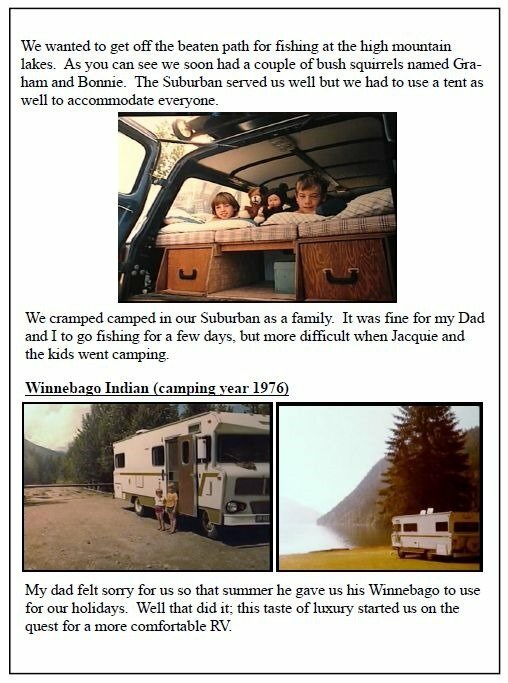 I really enjoyed the beginning chapters where Ray detailed his life’s path to becoming an avid RVer. I loved seeing the old vintage photos and hearing about his escapades in the early days. 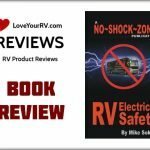 This book is a great resource whether you are brand new to RVing or have been at it for a long while. 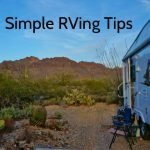 Ray does a great job at explaining the basics of setting up the trailer at the campsite and provides reams of really handy pointers/how-tos dealing with maintenance and repair issues. 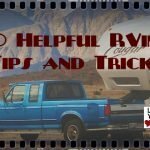 Even if you have RV’ed for years I’m sure you will pick up a few more nuggets of information to add to your RVing knowledge. 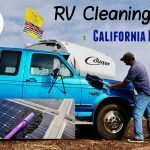 I was most impressed with some of the mods and little improvements he has made to the RV and how thorough the explanations were. 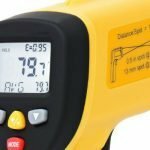 Very clear language and many easy to follow photos take you through the modification or repair process. Some of the mods are truly ingenious and have given me several ideas for my own rig. 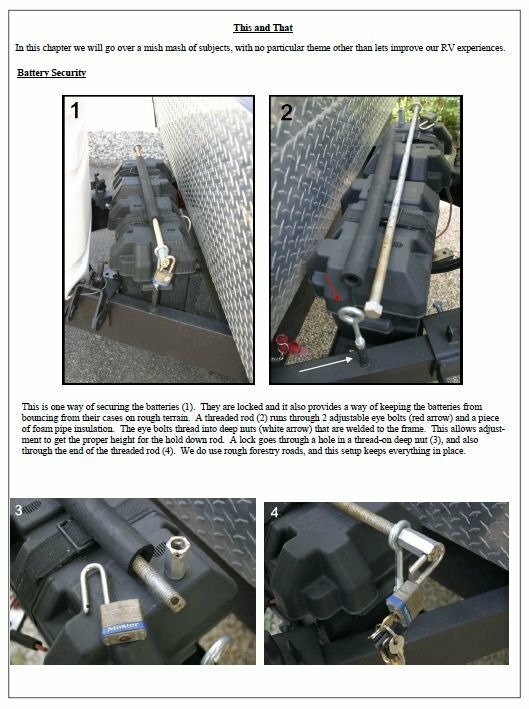 The articles included range from as simple as installing key hooks to as complex as flipping the axles on the trailer. Ray is a real “can do” type of guy. All through the book, Ray breaks up some of the more technical writing with many photos he calls “Kamera Kaptures” garnered from his many RV travels. Some of the captions are pretty amusing. See if you can pass this quiz? Which of the following was going through my mind? A. 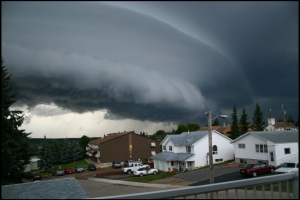 The Hot August temperature will be lessened by this storm. B. The rain should reduce the forest fire hazard. C. Wow, good day to fly a kite. D. Holy smokes, we are living in a trailer in the kid’s driveway. I took this Kamera Kapture from my daughter’s deck while we were visiting Cold Lake, Alberta. The Roughing it Smoothly book is available in Kindle version on Amazon If you’re a handyman/ woman be sure to check out the many other links on Ray’s website as well for loads of other great info and tips.